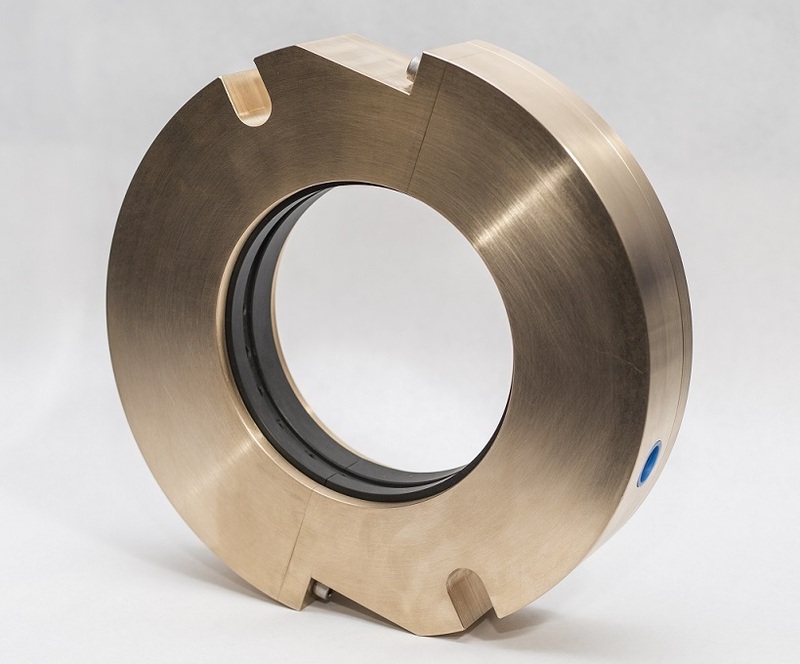 The SEPCO Air Seal (SAS) is an engineered pneumatic sealing system designed to seal the shafts of equipment where typical contact seals, such as packing or mechanical seals, are ineffective and often too costly to operate and maintain. Designed for wet or dry applications, the seal is particularly successful in powder, bulk solid, and slurry processes. The SAS relies on engineered clearances to develop a uniform sealing pressure/velocity profile using air or gas. This eliminates low-pressure areas and mitigates the chance of product ingress into the seal. It requires no maintenance as long as air flows continuously to the seal. By design, product does not enter the seal or throttle area. This eliminates the need for maintenance. The material of construction keeps wear and corrosion from occurring.